I think I first learned of the Light of Life Christmas ornaments from Jane Pitt’s holiday gift guide a few years ago. After I had spent most of December searching for a beautiful ornament that had some sort of story to go with it, and I found nothing. I have included this ornament on our list in case you are looking for a way to send someone a little bit of Pittsburgh for their tree. This is so much more than just a Christmas ornament. This is a gift that benefits the Light of Life Rescue Mission, a Pittsburgh nonprofit that provides housing and other resources for homeless in Pittsburgh. This is a word of art that was designed by Barb G., a graduate of the Light of Life Women’s & Children’s programs. This is an ornament that was made locally by Wendell August Forge. 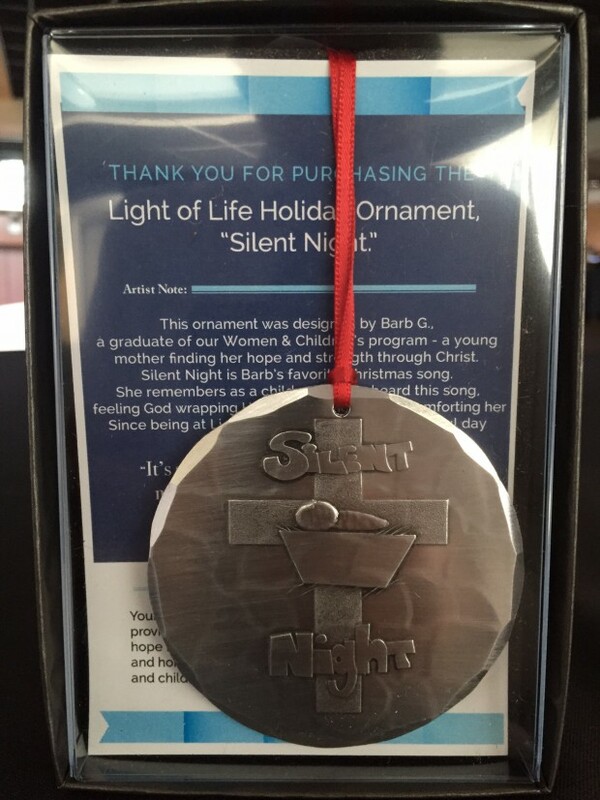 Shop: You can buy this Silent Night Ornament by making a donation to Light of Life here. Follow: Follow Light of Life on Twitter @LightofLife and Facebook. Source: Thanks to Jessi Marsh for the suggestion. Follow Jessie on Twitter @LemonScarlet.